We specialise in the repair, refurbishment and installation of all types of wood floors in both commercial and domestic environments. 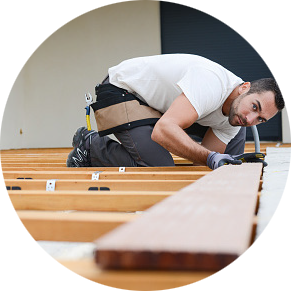 Experts in the repair and replacement of all existing wood floors, we offer the complete sanding, filling, staining, and sealing of all types of softwood, hardwood and block flooring to a colour of your choice. Contact us for a free, no obligation quote and we will be delighted to dicuss your needs on 01235 832600.
installing new floors and renovating old ones. done. It was also a pleasure to have them around. 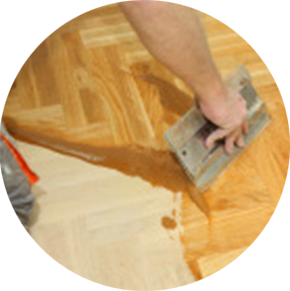 Our team at ACE Floor Sanding & Installation Specialists are passionate about the work we do. We pride ourselves on our quality workmanship and professional approach. Our focus is to tailor our services to meet your needs, within your personal budget. We always listen to our client’s needs, tailoring individual requirements with suitable products and services that meet budgets and deadlines. We do our best to be flexible without compromising quality. We can supply maintenance programmes and a guarantee with an ‘Aftercare service’. The combination of years of experience and continual development of the team, ensures we are constantly striving towards perfection for all our clients. The renovation or restoration of your wooden floors to their original, natural splendour is something that we specialise in at ACE Floor Sanding & Installation Specialists. Many Wooden floors have been lost to the ravages of time and changes in fashion. Changing trends have seen beautiful timber floors buried beneath layers of carpets, treatments and finishes. Our ultimate aspiration is to maintain, preserve or re-instate the original Character and features of your property. The trick to the renovation and restoration of old flooring is precision; achieving an almost perfect grain match and getting the reclaimed sections to the right colour. This can only be achieved through a combination of the best of modern technology, traditional techniques and of course the correct choice of wood and experienced technician. With an extensive range of specialist suppliers, we are able to source, match and install almost any type of timber. These include plank, herringbone or mosaic parquet – fitted with borders, inlays or patterns. These can be part of extensions and refurbishments or simply making sectional and isolated repairs to areas of damage. We offer full installations, sourcing new or reclaimed materials from various sources and leading manufacturers to achieve this. We also provide a gap filling service and depending upon the type of floor, species, type of finish and the size of gap – floors can be filled successfully by a variety of means that can be explained upon a site survey. ACE Floor Sanding & Installation Specialists will be able to provide a free, no obligation survey, so If you want to find out more about the restoration and renovation of your floors, please contact us. 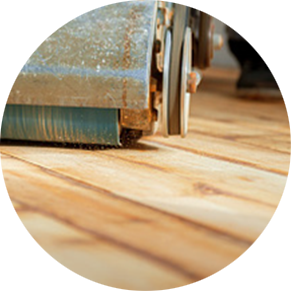 At ACE Floor Sanding & Installation Specialists, our maintenance & re-sealing service can provide a very cost-effective approach to increasing the lifespan of your working floor, without the need of a full sanding process. Periodic maintenance is a fast and non-intrusive method that ensures continual protection of the wood floor surface and keeps it looking fresh. Sports-halls, gymnasium floors & gymnasia, dance & aerobic studios and all multi-use recreational facilities for leisure and educational centres require periodic floor cleaning & maintenance management. Experience has shown us that by prolonging the life of the protective seal every 2 years in a commercial environment, the timber floor underneath is in turn protected from the ingress of dirt, moisture and discolouration. This process involves professional cleaning with specialist equipment and solutions, designed to remove surface dirt. Your floor is then neutralised, lightly abraded, thoroughly vacuumed and then resealed with an appropriate and recommended sealant from a leading manufacturer. The maintenance of a timber floor is as important as the quality of an effective, regular cleaning programme. We can recommend that our maintenance solutions combined with an effective cleaning programme will not only comply the standards set by the HSE but also promote the practical and visual aspects of a working timber floor. We are able to supply all types of surface finishes that include water or solvent based lacquers, natural oils and hard wax oils. ACE Floor Sanding & Installation Specialists provide a free, no obligation survey of your floors, which includes the condition of your current flooring and offers you our recommendations for your renovation and maintenance. If you would like to find out more, please contact us.